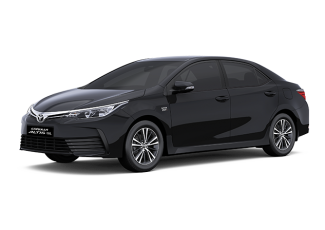 Toyota Corolla Altis is a fascinating beauty from the outside and an excellent luxury from inside. 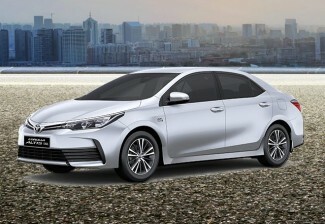 Toyota Corolla Altis 1.6L is an automated and intelligent car in many aspects. Its electrically powered features offer great convenience and ease of control. 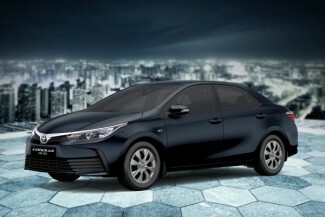 It is equipped with an Electric Power Steering (EPS), which require the least effort to control the car. Similarly, its transmission is electronically controlled. 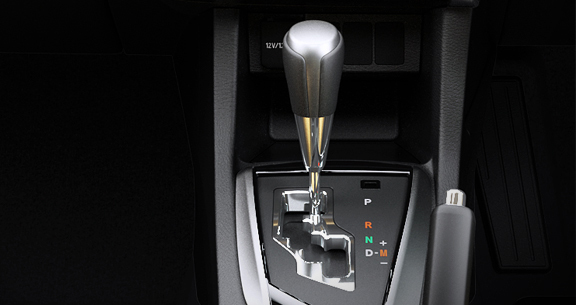 The 4-Speed Automatic Super Electronic Controlled Transmission mechanism offers appropriate gearing for every situation. The gears are automatically switched to higher or lower gears with speed variations and intelligence, integrated with electronic gear controlling system. Safety of the driver and passengers is a prime aspect on road. It’s also of great importance for the manufacturer to comply with the safety standards outlined in car manufacturing safety standards. 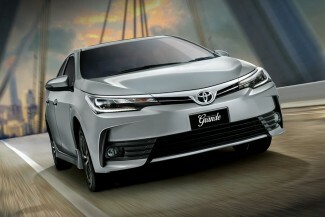 Toyota Altis has enhanced safety features. Toyota has improved the responsiveness of car control in terms of speed & handling and made it efficient than previous models. 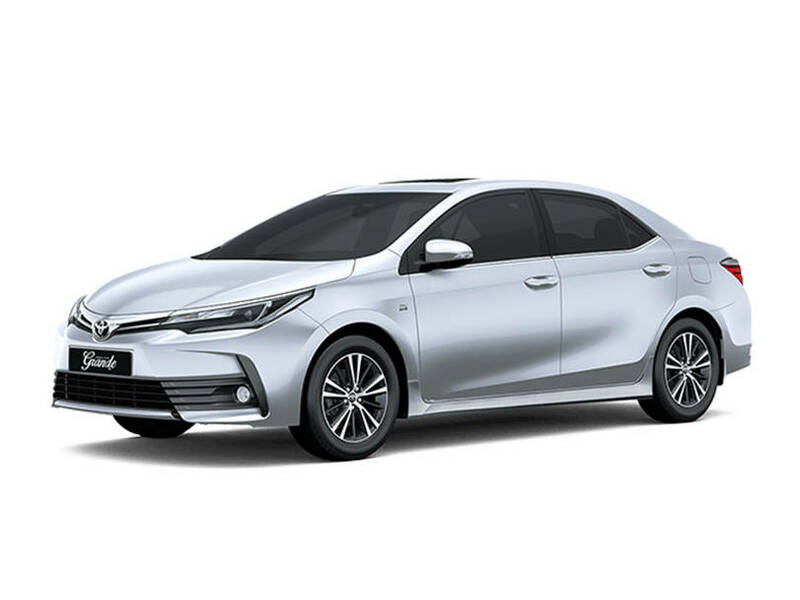 Altis 2018 offers the Electronic Brake Distribution (EBD) feature with Brake Assist (BA) on top of the standard ABS (Anti-Lock Braking System). It has ventilated disk brakes for front wheels and on the rear, there are solid disk brakes. All these intelligent and highly responsive features make braking efficient than ever. Dual SRS airbags is another advanced safety feature. 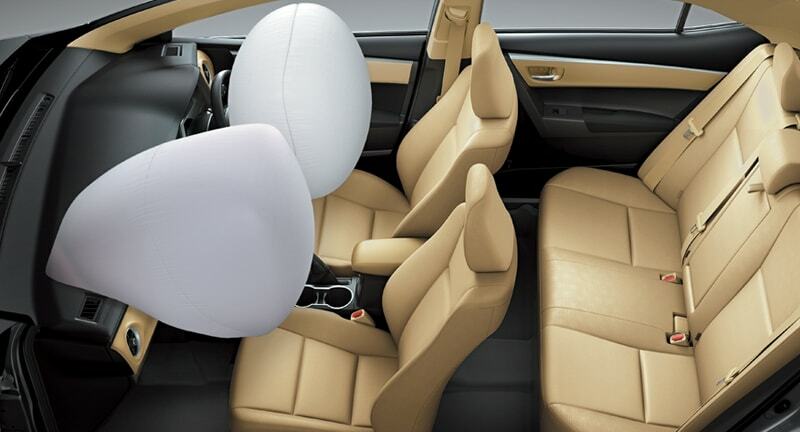 Airbags are concealed on both the driver and the passenger sides. 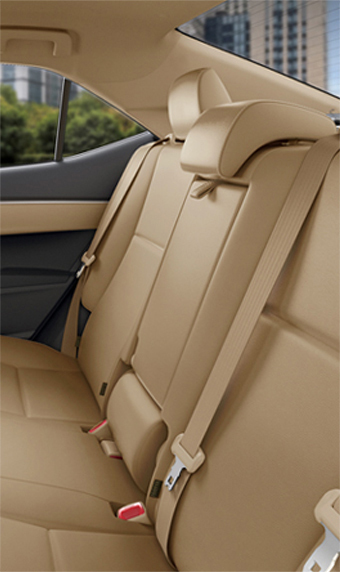 Driver and all passenger seats are fitted with three-point ELR safety belts. Additionally, the front seat belts have the Pretensioner and Force Limiter. Other sophisticated safety features include Key Reminder Warning, Immobilizer, Light on Warning, High Mount Stop Lamp, GOA Body. 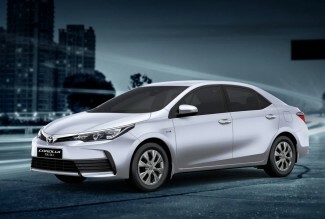 Toyota Corolla Altis exterior offers some impressive features. Its interior projects remarkable beauty, luxury, and style. The aerodynamic body provides a smoother drive through the air on road, especially at high speed. 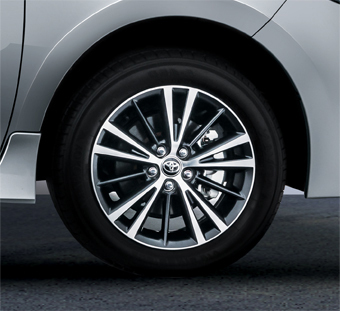 16” Alloy Rims enhance the overall look of the car. Elegant Side Skirts have an aesthetic finish. Rear Camera provides the driver with a great assistant in reverse and parking. LED Rear Lamps and powerful Halogen Headlamps gives it a classy and enhanced ambiance. 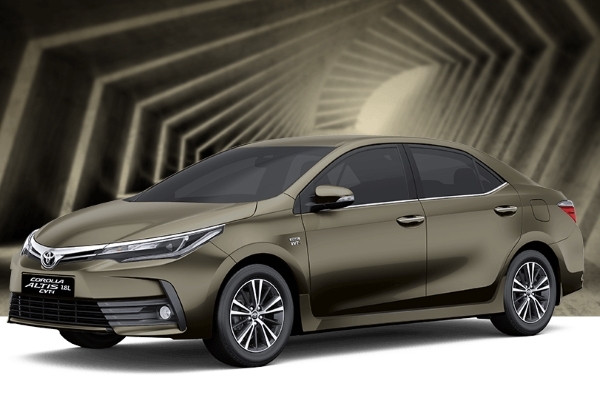 The all-new Toyota Corolla Altis Grande 2018 offers a bold and confident exterior design. 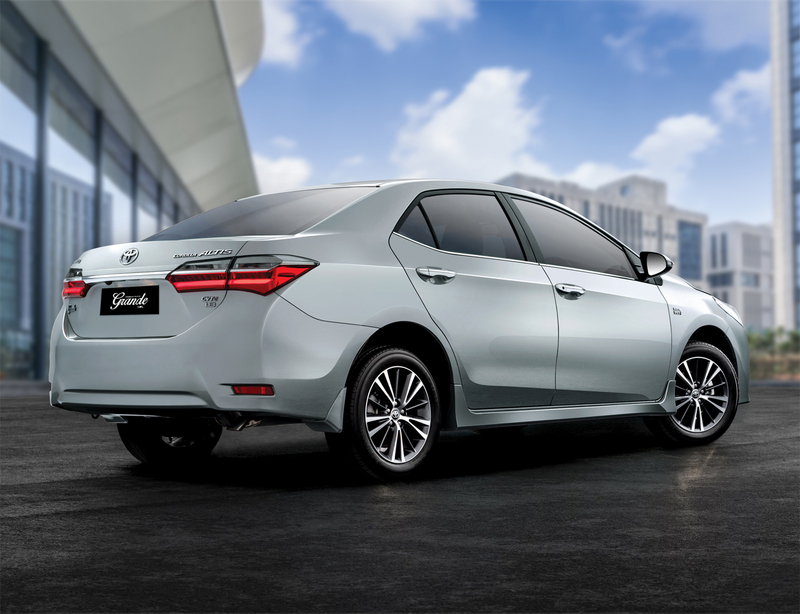 It is designed with advanced technologies to bring sophistication and greater driving experience. Corolla Altis Grande newly designed headlamp with LED DRL projects a delicate and modern image. Hi-beam LED improves illumination performance and consumes less power. Rounded Fog Lamps compliment the groves and lines of the front and provide better visibility in foggy and misty weathers. The mirror angle is tilted downwards automatically when car gear is shifted to reverse gear. Side skirts with mudflap offer complimenting styling. Front and/or Rearview cameras are of great assistance to the driver when parking or reversing. 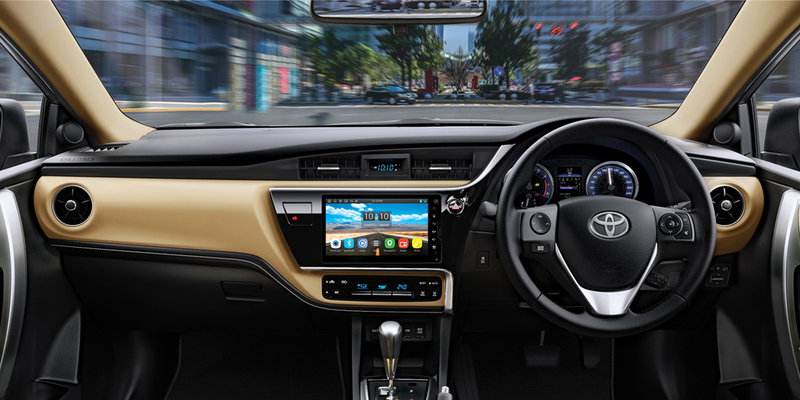 Toyota Altis modern dashboard, seats and controls create a mixed beauty, luxury, and convenience. 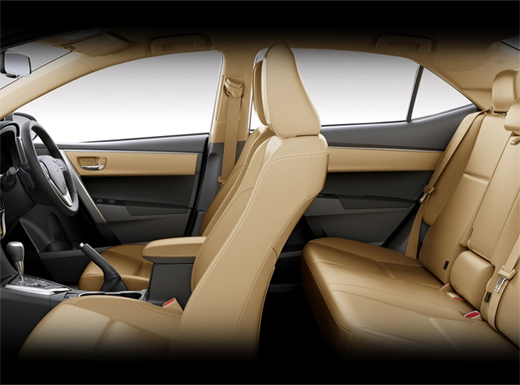 The flaxen based interior is packed with decency. The soft & comfy material used in the seats and their state-of-the-art comforting styling maximize luxury. The audio system is with an advanced Virtual Acoustic Positioning System (VAPS) which offers better operational control and high-quality sound. 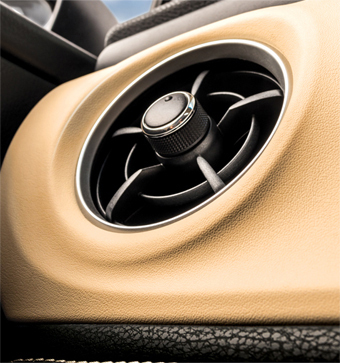 Passengers can enjoy the music of their choice with an acoustic effect while on the road. 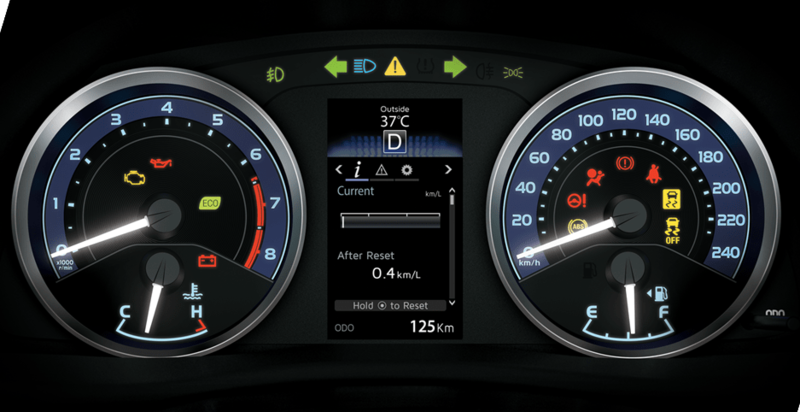 A Multi-Information panel Displays different performance variables of the car providing an interactive and safe driving experience. Controls for audio and MID switches on its Power Steering are convenient tools for the driver. The built-in USB charging feature allows recharging any USB operated gadgets and phones. The wireless entry system is a convenient way to enter the car without hassle. The Wireless Key is also equipped with Immobilizer and Trunk Opening options. A Panic Button is also available on the key to call for help in an emergency. Bucket type seats with stability for comfort also offer height adjuster on the driver side. 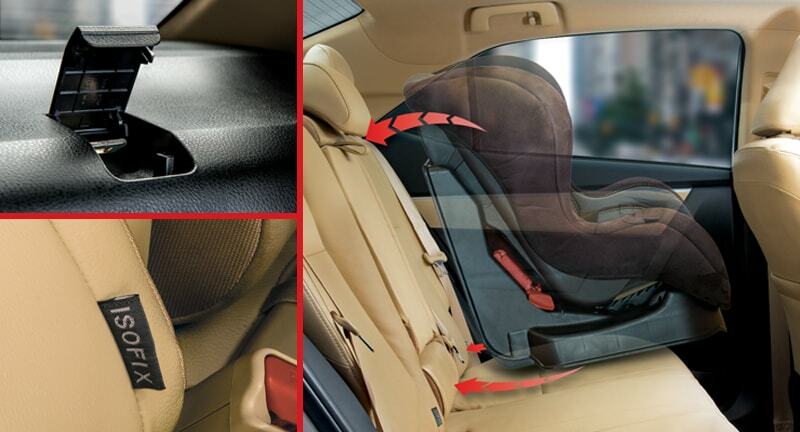 Rear reclining seats provide excellent comforting experience to rear seat passengers. 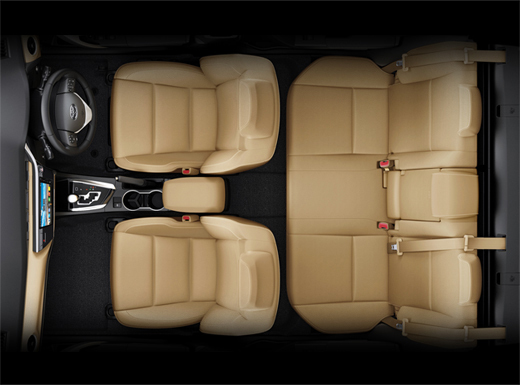 With a 60:40 ratio, the rear seats are foldable so larger items can be accommodated in the boot. Soft foamed seat corners provide exceptional comfort & convenience while relaxing. A 3-dimensional floating interior with comfy and soft padding creates a luxurious, ergonomic, prestigious and spacious environment ensuring an extravagant and peaceful driving experience. Push start adds convenience to engine starting, simply push the brake pedal and press the start button while the key is in proximity. 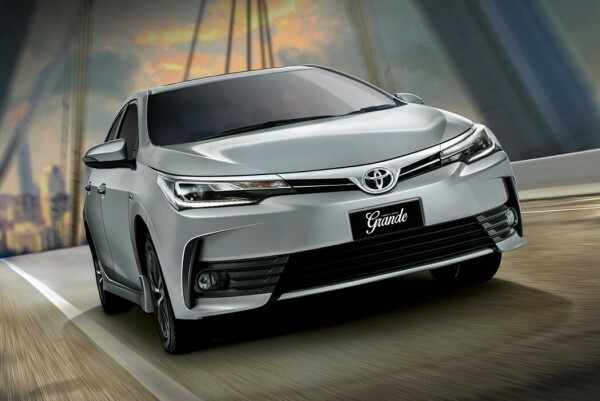 The new Corolla Altis Grande’s steering wheel is designed with luxurious craftsmanship and provides superior control for a comfortable and enjoyable drive. Climate control is redefined. 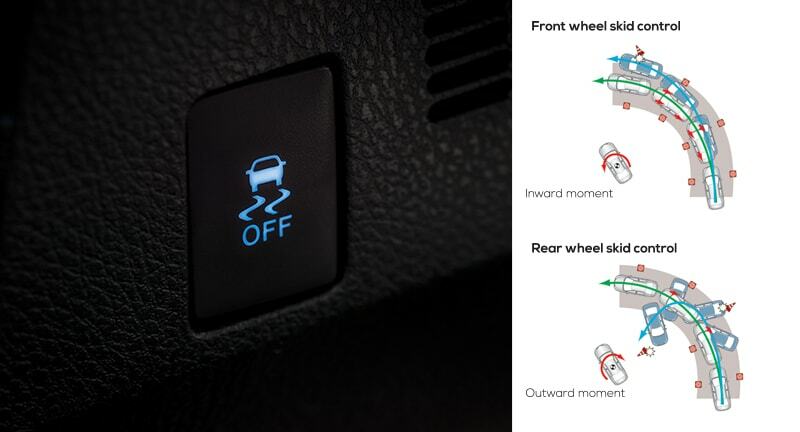 Air conditioning in Altis Grande comes with toggle-type switches. This switching ensures convenient operations of the cabin temperature resulting in a comforting environment. The enhanced Optitron meter is equipped with a 4.2 inch TFT color Multi-Information Display. This display is designed to provide the status of different car variables and parameters. 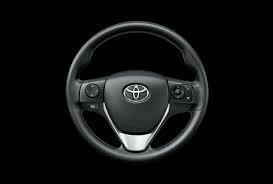 The driver has everything within the range of his glance while driving. This display shows the driving range, fuel consumption, and Eco Monitor. Grande’s infotainment system is equipped with advanced technology to provide a truly immersive audio-visual experience. Featuring a 9” display, Wifi with Hotspot, navigation, a built-in webcam, and a familiar Android operating system. 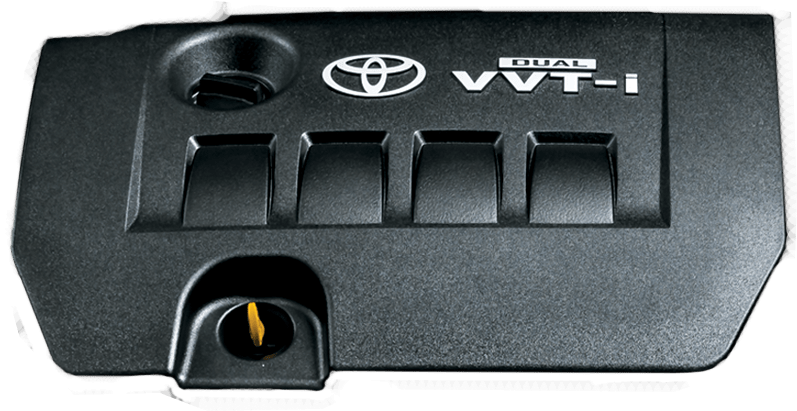 The 1598cc engine of the all-new Toyota Corolla Altis 2018 is powered by the same dual VVT-i technology as the elder sibling Grande has. 16 Valves and 4-cylinder DOHC engine provide it with a boasted acceleration and Power. 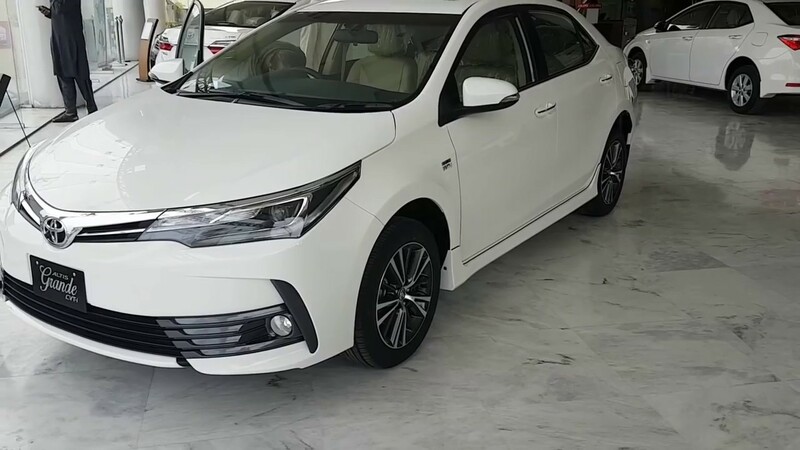 The classy engine generates up to 120 hp of force for an exciting and thrilling driving experience even when driving in hilly areas of Northern Pakistan. 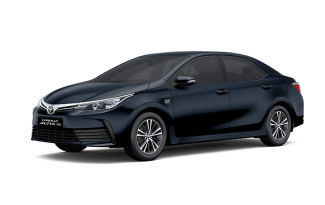 If you are considering to buy Corolla Altis, Toyota Altis 2018 is a great value for money considering the joy, durability, and safety it offers. The Sequential Fuel Injection System dispenses uninterrupted and optimum fuel supply to the engine with precise timing. Its unique fuel injection system has also been enhanced by an Electric Throttle Control System-intelligent (ETCS-i) technology. ETCS-i significantly improves the fuel efficiency. 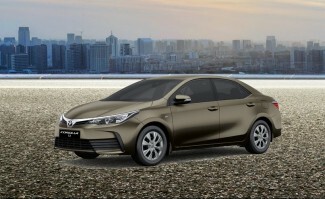 Corolla Altis is also an environment-friendly car with it’s enhanced and efficient fuel system.